Literally meaning "Brigands" in Latin, Latrunculi is a game where two equal factions face off against one another with the goal of surrounding and capturing the leader. 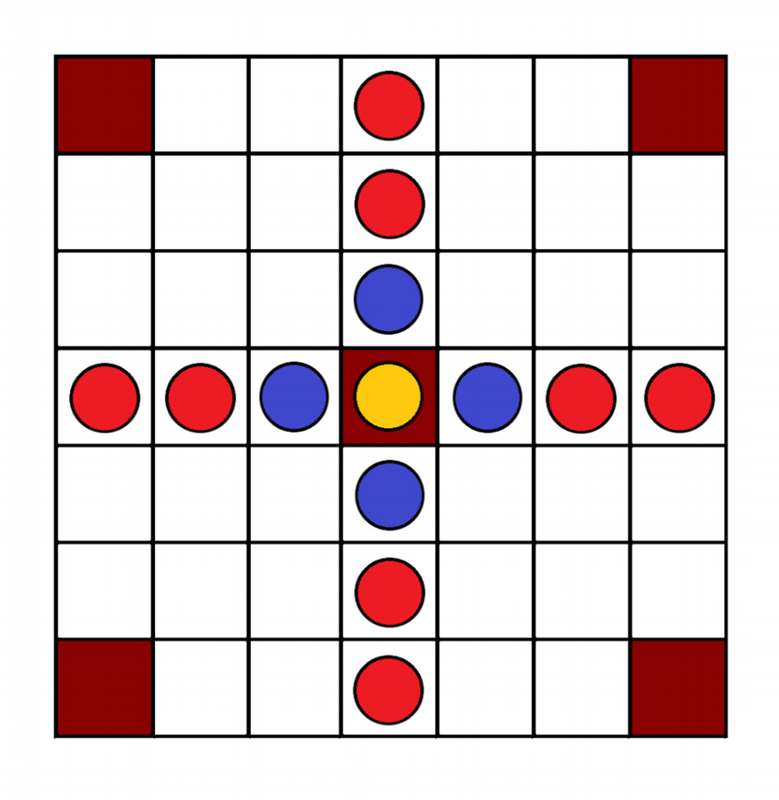 Hnefatafl, or the "Board [Game] of Kings" was played by Scandinavians during the Viking age. This is an asymetrical game, which means the sides are not even. Capture the King before he escapes! These are variations of Hnefatafl found in Scotland and Ireland. Bran Dubh means "Black Raven" and Ard Ri means "High King". Both games have the same rules, with different board layout. Meaning "House of Fortune" this Germanic dice game has been a tavern favorite since the Roman era.